Katsina, Maradi agree on pastoralists’ movement – Royal Times of Nigeria. 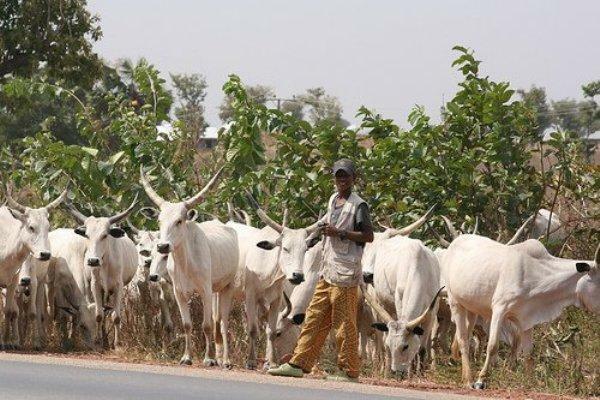 The Katsina State Governnent and Maradi, a state in Niger Republic, have signed an agreement on pastoralists movement between their borders, to curb cattle rustling and other criminal acts. Governor Aminu Masari signed on behalf of Katsina state, while Governor Zakari Oumarou signed for Maradi on Wednesday. Speaking shortly after signing the agreement in Maradi, Masari said that proactive measures had to be taken to address security challenges in the border states of Nigeria and Niger Republic. He said that the agreement would enable the two state governments to collaborate to tackle such challenges, including drug trafficking and movement of weapons into Nigeria and Niger. “It is the duty of the governments to confront anything and or anybody whose activities are a threat to farming and livestock in the region. “Farming and livestock are the mainstay of the economic activities of our region, employing more than 70 per cent of the population. “So, it is necessary for us to do whatever we can, to secure and ensure the safety of our people, their farmlands and livestock,’’ he said. Masari further said that agreement provided for free movement of pastoralists and their livestock into the two countries in line with ECOWAS treaty on Transhumance Protocol of 1998. He also promised to replicate the accord with the Zinder, another neighboring state in the Niger Republic. In his remarks, Oumarou said that efforts must be made to strengthen the ties between the two countries because they share the same culture and religion. Oumarou assured that his government would continue doing its best to discourage criminal activities in its domain. The Nigerien Minister of Defence, Alhaji Kalla Mountari stated that his country had established a Military Battalion in Maradi to reinforce security between the borders of the two countries. He assured that Niger would continue to find ways of securing borders of the two countries. NAN reports that the ECOWAS treaty on Transhumance Protocol allows for herders to move across borders in search of pasture. It also provides for pastoralists from neighbouring West African countries, access to grazing rights in other countries in the ECOWAS zone including Nigeria. It allows for herders to move across borders in search of pasture upon fulfilling the conditions laid down in the protocol.